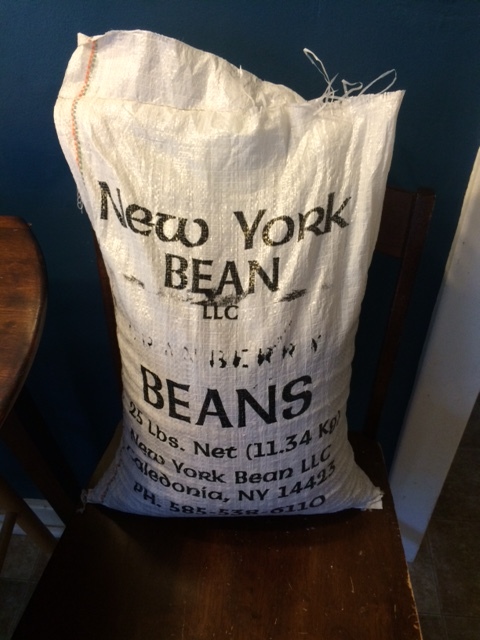 I drove out to NY Beans in Caledonia, NY today – about 40 miles on the other side of town – so worth it! Lynda at the front office had set aside this hefty 25 pound bag of cranberry beans for me – cost $18! That is $.72 per pound – a great price! They are $.99 a pound at Wegman’s. 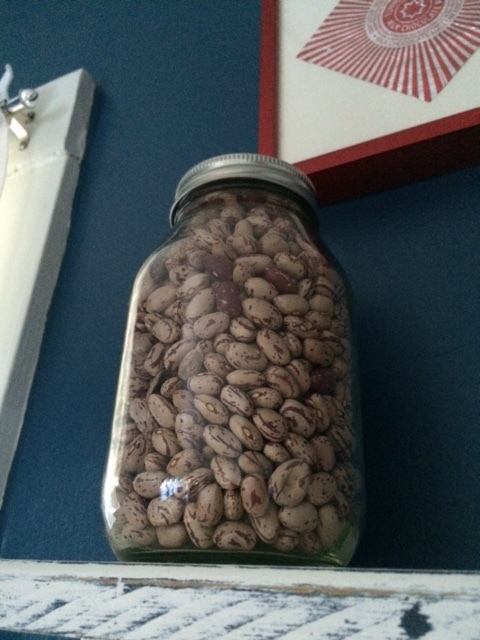 Yes I drove 40 miles and…..I now have A LIFETIME SUPPLY of beans…yippee! 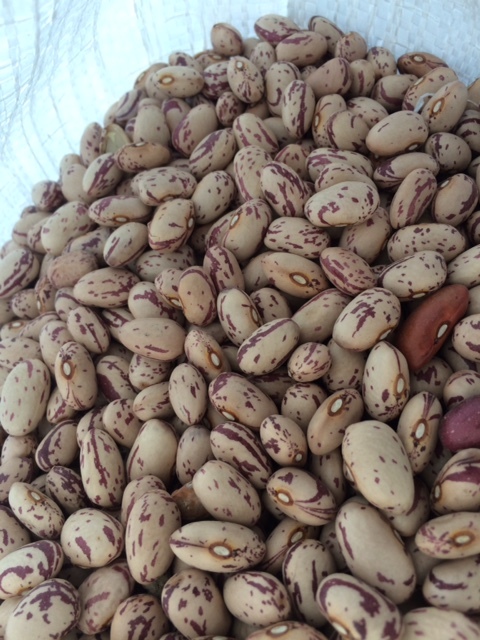 NY Bean is a big supplier to Goya brand – you know them? My cranberry beans were grown in Wyoming County – only 80 miles away from me in Monroe County – I like that – vs the typical 1500 miles that most of our food travels to get from farm to your table. Where are your beans from? In case you were wondering – here is the back story for these beauties – thank you Woodland Foods! Cranberry Beans (Phaseolus Vulgaris) are related to the Kidney Bean (Phaseolus Vulgaris). Cranberries are like the Pinto Bean but reversed in color with pink skin and maroon mottling. They are somewhat plumper than the Pinto and are about 1/2 inch long. Cranberry Beans have a sweet, mild flavor. Also referred to as a borlotto, crab eye, roman, romano, rosecoco or saluggia bean. They may be interchanged in recipes wherever Borlotti or Saluggia Beans are required. Like their Mexican and Italian cousins (Pinto and Kidney), they will turn pink when cooked. They’re delicious in recipes with sweet or savory spices. Recipes to follow – are you excited? Local!!! Thank you Growers and Wegman’s! Hi there – long time! Happy Summer to you…. 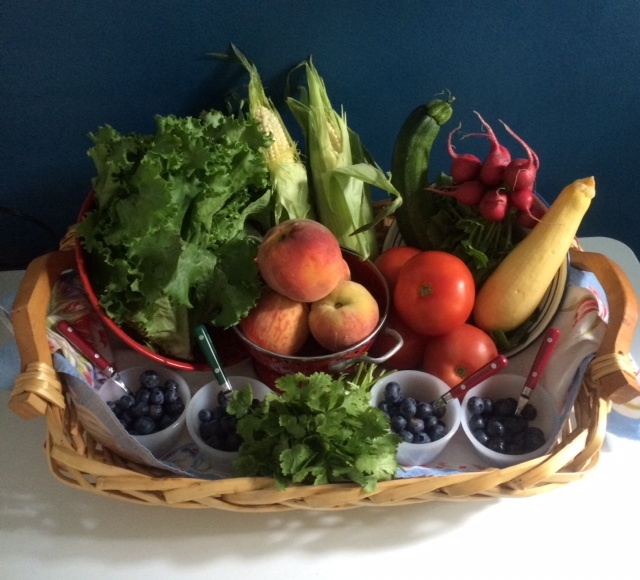 I am doing a Locavore Challenge in August – join me???? Just like I did during my Year of Nothing New, I will eat only food grown in NY state for 31 days. When traveling, I will be eating foods grown locally within a 100 mile radius – heading to PA and IA in August – fun times ahead! To get started – I bought some local bounty at the Perinton Wegman’s (thank you Brad in Produce for your time, positivity and wisdom) and will pop over to the Fairport Market on Saturday…I am also going out to NY Beans in Caledonia tomorrow for a 25 pound bag of local cranberry beans – apparently it is too late in the season to get local black beans – drats! Check out these resources – be a Localvore! And in your free time – haha – take a look at my Good Day Rochester segment this morning – link here – with the kind, professional, smart, beautiful Jennifer Johnson Norma Holland – I just love them. I will keep you posted on my Localvore Challenge – I know you are waiting for some cranberry bean recipes….